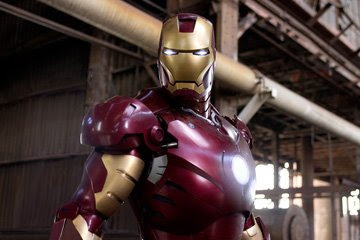 If one listens to the early buzz surrounding Jon Faveau's Iron Man (Paramount, 5.2), then the expectation level is through the roof. Paramount has been very quietly showing it to selected journos recently, and according to Jeffrey Wells' anonymous source, the film is sensational. I try not to get my hopes up base on internet buzz. But my expectations for the film had been quite low until recently. There's a press-invited screening coming up for me on Tuesday, so I'll know for sure then. I won't be able to review it until opening day though (which is standard practice), but Paramount is keeping an especially tight lid on this one. Either that's a bad sign...or they know they have a sensation on their hands. I want to see this one, hopefully the buzz is true. Most of the time it is, but over at H-E, I find I hard to believe most of the time. Enjoy your screening! Lucky you. I've been growing more and more apathetic with each passing day. It's probably good, it's just I feel really -blah- towards it. I'm luke warm on most summer-type movies, but I hope this one is good. Expectations are modest, but it would make a nice suprise.